Wondering how to become a driver for Uber? How much does one make? The rapid growth in the popularity of rideshare companies has opened the floodgates for driving jobs in recent years, and questions like these are more common. A lot of young men and women who have a valid driver’s license and a clean driving record are finding themselves with rideshare driving jobs. There are reasons behind this. Firstly, driving for Uber does not require one to slog for hours and can be a part-time job for some extra income. Secondly, the process of applying and driving for Uber is fairly uncomplicated and easy. So, if you love spending hours behind the wheel, enjoy meeting new people, and looking for some quick money you should read this article until the end to understand how to be a driver for Uber. Becoming a driver for Uber is similar to taking up any job. As in other jobs you check the eligibility criteria, apply for the job, go through a selection process and finally join the job, similarly, at Uber you will have to check the requirements, apply for becoming a driver, clear the verification phase, learn about the various terms and conditions related to the rides and finally hit the roads with Uber passengers onboard. To ensure that their drivers meet the safety and security standards as laid by them, Uber requires drivers to meet some requirements before they become eligible to drive for Uber. 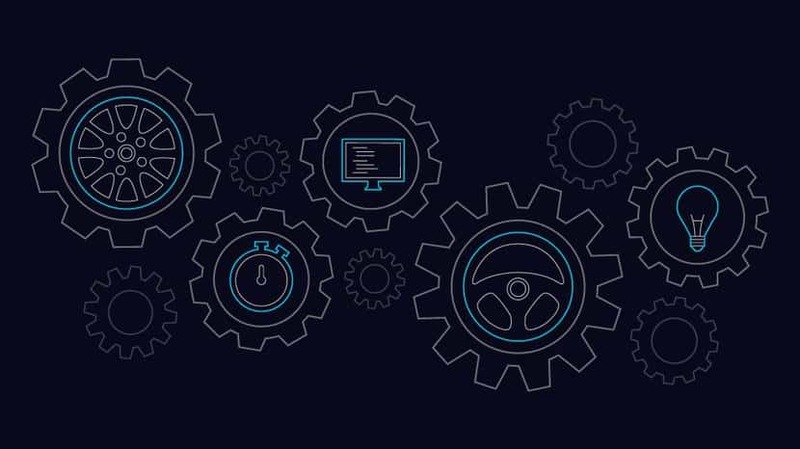 Along with the driver, the vehicle also needs to meet the requirements to ensure the service standards as committed by Uber to its customer base of eight million and counting. The specifications of these requirements may vary depending on the state where you live and intend to drive, but on the whole, the requirements would be very much similar. Signing up for Uber driving job needs to you meet certain requirements as set by the company. Be minimum 21years of age or older. Have driving experience for minimum 3 years. Hold an in-state car insurance in his or her name. Have an in-state registration for the car that would be used for driving. It is okay if the registration of the car is not in the name of the driver. Pro Tip: The requirements are relatively similar for drivers of both Uber and Lyft, so you can double up and also become a Lyft driver if you’d like. This is recommended by a lot of drivers due to the fact that there are pros to each, so you can get the most of your driving time. 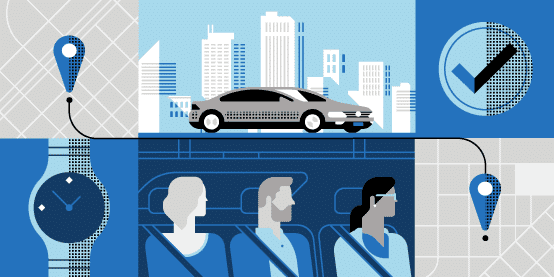 As a rideshare company, Uber is committed to delivering the best services in the industry. 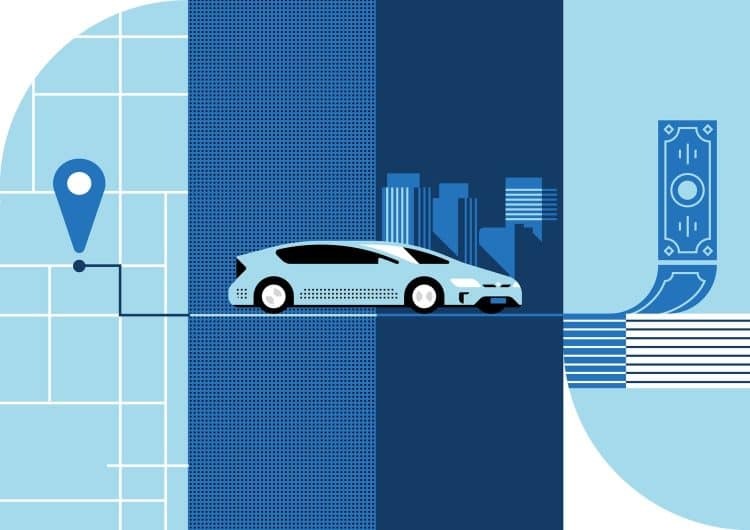 As a part of that commitment, Uber requires the vehicle to meet certain standards and hence have a list of requirements for the vehicle as well. There are different classes of Uber cars and the requirement keeps on changing for each class. The car should be manufactured not before 2006. Some states allow 15 years old cars as well. The vehicle has to be a 4-door car, minivan or a truck. The vehicles should not have any visible cosmetic damage. The vehicle should pass the vehicle inspection. The vehicle’s insurance should have the driver’s full name on it. The vehicle need not mandatorily have an auto transmission. The car should have a seating capacity of 6+1 passengers. The vehicle should not be a full-size commercial vehicle. UberSelect, the basic luxury service of Uber has the basic requirements from the vehicle as in UberX. Spick and span interior and exterior to meet the luxury standards of the riders. The chauffer-driven service of Uber, UberBlack and other high-end services like UberSUV and UberLux has their own set of requirements from the vehicle, which includes the basic ones and a few new ones. The car should have black exterior and black leather interior. The car should be 2012 model or newer. The car should have airport permits if that is required in the area where you would be operating. Not owning a car yourself is not a problem. If you can manage to buy one, you can do so easily with the financing services of Uber. If you really don’t want to get into the hassles of getting an auto loan, you can opt for car loan facilities from companies like Breeze. Before hitting the roads, you would be required to pay an initial amount of $250 and you can loan a car easily. The recurring expenses are $195 per week for a specified number of miles. The application is a cakewalk. 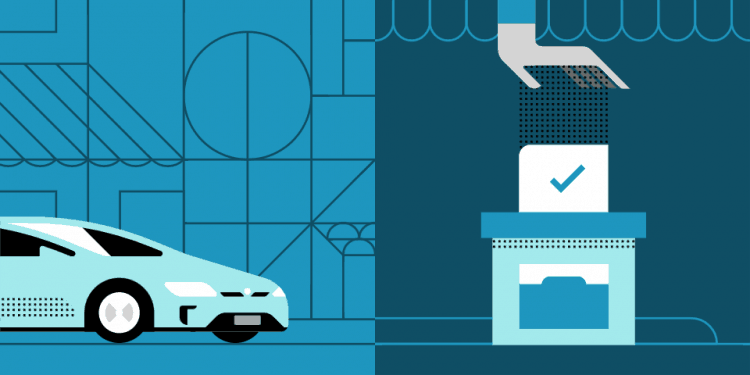 There are four simple steps before you start making money driving with Uber. To apply online, you will have to click on the ‘Become a Driver’ button on the homepage of Uber website. The form that opens up needs to be filled with personal information like your name, phone number, email address, a password, and your city name. If you have an invite code, you can use that at the ‘Invite Code’ field on this form. The next screen would require you to fill in certain information regarding your vehicle. Along with the information, you are required to upload pictures of the car. You also need to send pictures of the interiors, exteriors, front and rear bumpers. Once you’ve provided the relevant vehicle information, you then need to upload your driver’s license, car insurance, and car registration documents. Next, you need to clear the driving record check for your application to get approved. This means that your driving record should comply with the following points. As Uber is highly conscious about the safety and security of its passengers, they ensure that all their drivers undergo a thorough background check and get clearance on that. No instances of theft, drug abuse or other felonies for a specified period of time that varies from state to state. Unlike other rideshare companies, the background check procedure does not take anything beyond a week. So it’s easy AND quick. While Uber claims to complete the application process within 5-7 days, most applications actually get processed within 3-5 days, unless there is a huge influx of applications at the same time. If the background check fails, you can again reapply after 3-6 months. Pro Tip: Uber will provide you with a smartphone to use, however you can use your own phone if you’re more comfortable with it. Simply let them know and return the one provided, then download the partner app to get going. And knowing what to expect and being prepared is a key to making top dollar as a rideshare driver. Want to know how to become a driver for Uber and be financially successful? As you clear the background check, they will send an email confirmation. Now you are ready to hit the roads. To start earning fares, you need to understand how the app operates and what your doable items are as the driver. You may contact the local Uber support team, to guide you on what needs to be done. The process is pretty simple, though. Customers can use their e-wallet to pay the bills. Recently Uber is coming up with cash payment modes as well, where the driver will collect the cash at the end of the ride. These are mostly only available in foreign areas where it isn’t common to use electronic forms of payment. To continue to be eligible for driving with Uber, need to ensure that your Uber account does not get deactivated. How Much Do Drivers Make? So how much do drivers make? It is a known fact in rideshare industry that the earning of the drivers will depend largely on the cities where they drive. Anyone driving in San Francisco or Los Angeles would be earning much more than those who drive in less populated cities like Compton or Fremont. Larger cities = larger pay. Uber does not have a tipping system, which stops their drivers to earn some real quick and handsome money from the customers who enjoyed the ride beyond their expectations. Pro Tip: You can unlock a great driver signup bonus just by entering an invite code when you sign up! You can begin the process here, and use Uber promo code UBERAMEX when prompted for it. Amounts and requirements vary by city, but either way it’s free money. There are many legitimate tricks to increase your profits while driving for Uber. Drive during surge pricing hours. These are the times when demand is at its peak and the prices hike to more than 100%. A higher bill means a higher earning for you. Drive during weekends and holidays. That’s the time when not many people would bother to take their cars out, causing a forced crisis in the availability of cars, thereby leading to a surge in the prices. Avoid driving long distances to pick the customers. The 15 miles that you would be driving to pick the passenger will not pay you anything. Try to get as many rides as possible. While you should not turn a blind eye to long distance passengers, short distance passengers should be your favorites. Promote certain products from various free platforms and earn handsome referral amounts from those companies. Use passenger app to see which area has a dearth of drivers. Getting your car there could mean faster booking. However, do not forget the third tip while doing this. Offer water and snacks to your passengers. Not only will you earn some additional revenues out of that, but you would be paving your path for a 5-star rating as well. As mentioned earlier, your Uber account is always subject to the threat of getting deactivated if your average rating drops below 4.6. Hence, you will have to ensure passenger satisfaction. Keep the car in chic condition. Avoid keeping the customer wait for you. Do not accept a ride if you cannot reach within a short time. Avoid calling the customer too often before picking him up; this can be irritating. Avoid getting too personal during the ride. Talk with the passenger only if he wants to. Offer the shortest route to the passenger proactively. That will bring in the confidence in his mind that you are a good guy. Keep the phone well mounted. That will send the message to the customer that you are a safe driver. Avoid getting into any debate with the customer on the choice of route or anything else under the sun. Offer free perks to the customer like a chocolate bar or a bottle of water. During certain hours of the day or on certain special days (like Christmas or New Year’s Eve), Uber increases the prices of their rideshare services. The surge prices can vary from 1.1x to as high as 4.0x, depending on the demand. As a driver, you can make full use of the surge pricing feature by driving into areas where surge pricing is applicable. The map on your app would have areas marked with yellow, orange and red colors. Yellow in a specific area means increased demand, orange means heavily increased demand and red means extreme demand. Your target should be to rush to the red zones and enjoy the increased payments and earnings that you get from Surge Pricing. Pro Tip: Surge times are predictable. They usually occur during the same days and times each week, with the exception of special events and/or holidays, of course. People usually need a ride around the same time, whether it’s to work or school, etc. So driving around these times when you’re able to will help you earn more. If you really want to get crazy and become a top earner, be sure to take advantage of additional bonuses when you can. Programs such as the Power Driver Plus program, hourly guarantees, driver referrals, and others are just one way to ensure that drivers have every ability to earn a good living wage. If you want to earn even more, you will have to gun for getting yourself qualified for the Power Driver Plus program. This program rewards highly active drivers, performing above par; they must also meet the minimum qualifiers for the PDP program. The PDP program requires the driver to complete a certain number of trips depending on the choice made by the driver at the beginning. Upon completing the minimum required trips, for a set of additional trips, the driver would earn extra money. For example, an additional count of 30 trips after the specified number of trips would earn you $50 extra and an additional count of 120 trips would earn you a whopping $500 extra. Like other rideshare companies, Uber also has its own hourly guarantee for its drivers. As a part of this program, the driver would be eligible for a minimum guarantee payment even if he does not manage to earn that much himself by driving. There is a minimum time online criterion as well, where the driver has to be driving for a certain period of time every hour. The criteria for the hourly guarantees keep on changing and get notified to the drivers as and when they change. The guarantee amounts are calculated every Monday and reflect in the earning tab of the driver’s app. This program lets existing drivers of Uber earn some real handsome money. To earn the referral bonus, the driver would need to share his personal invite code to his friend, who he is referring to Uber. Once the friend signs up to become a driver for Uber with the invite code, the existing driver earns the referral money, which could be as high as $200 per referral. This happens only when the referred driver completes a certain number of trips after approval. The referral bonus amount varies by the city and changes periodically. You can also share your partner code with new riders who will get a free ride worth $20, and you would earn $5 as rider referral bonus. Pro Tip: You can make the most of your driving time by doubling up and becoming a Lyft driver as well. This works wonders because between the two services, you’ll always have a passenger. Plus Lyft offers driver bonuses and referral codes too, so you can really boost your earnings. A lot of people wonder about how to become a driver and be successful. As it turns out, people tend to have similar questions. Here are a few common ones to provide some direction and support. Are drivers happy with their job? There have been a lot of polls and studies on this very subject. The media has reported a lot of protests as of late about drivers pushing for employee status versus that of an independent contractor. Even so, most drivers are happy with their experience. According to a study conducted in 2015, 78% of drivers are happy with their job (original story posted at the LA Times). What other opportunities can I get besides the standard driver gig? There are actually a variety of opportunities in different cities around the country for driving jobs. 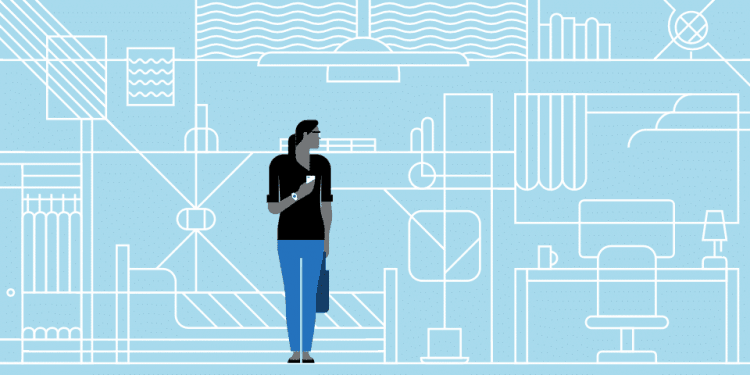 In fact, if you’d like to know more, Uber themselves have compiled a great list of these opportunities and the specifics that go along with them on one of their help pages.